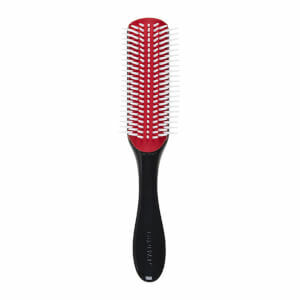 A circular massage brush with extra-soft plastic pins that’s suitable for both men and women, the Denman Be-Bop Massager is ideal for gentle scalp massage during shampooing and for distributing gels, waxes and pomades during styling. Whether you want to indulge in a relaxing scalp massage or create salon-styled hair from home, the Denman Be-Bop Massager is the ultimate hair accessory. The extra-soft plastic pins ensure your hair and scalp are stimulated without damage while the Denman logo reassures you that you’re using the best professional product available. I have used these Denman Be-Bop Massager for years and you can't beat them!